I am going to be participating in two shows this fall, the Historic Seattle Bungalow Fair on September 25th and 26th, and the Pasadena Heritage 19th Annual Craftsman Weekend October 16th and 17th. The last time I did a show was the Seattle show in 2004. From that experience I’ve learned that doing shows can be quite exhausting. Initially I felt disappointment from the effort due to rather modest sales during the show. I have since learned that it’s not so much the day of show sales that count, but it is also making a personal connection with the community, getting myself seen and recognized that’s more important. I have had customers contact me years after the show from the brochure I had available. In looking at the calendar I realize that there is not that much time left as summer and all of it’s distractions so quickly passes. 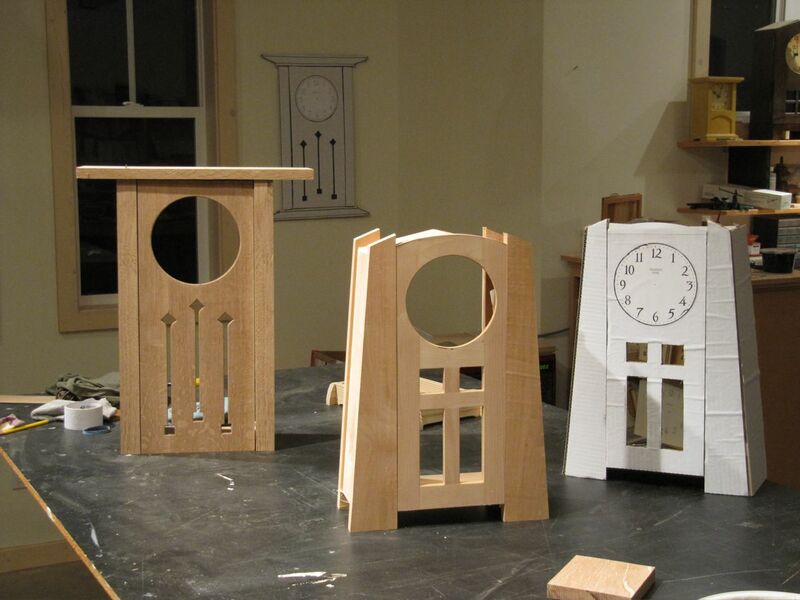 I have a number of new clock designs in the works that I would like to have completed in time for the shows. The grandfather clock I have planned will have to wait since it will be too large to be carting off to any shows. When I was moving my shop I discovered a stash of some highly figured maple, oak, walnut and other hardwoods that had been buried in the stacks. 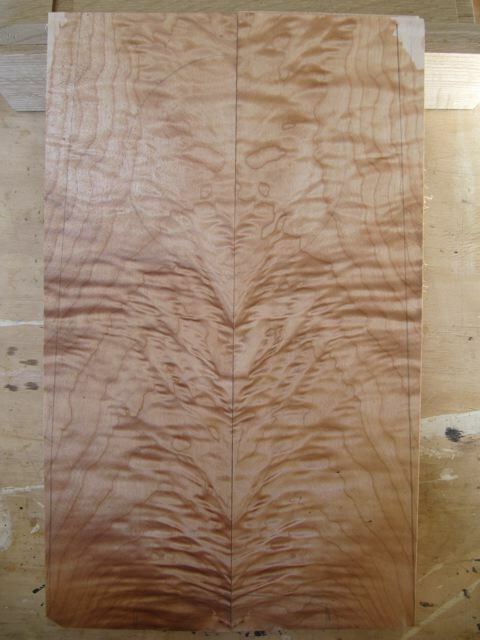 I have been working with some of the pieces of wood, slicing in half and opening up, known as “bookmatching”. 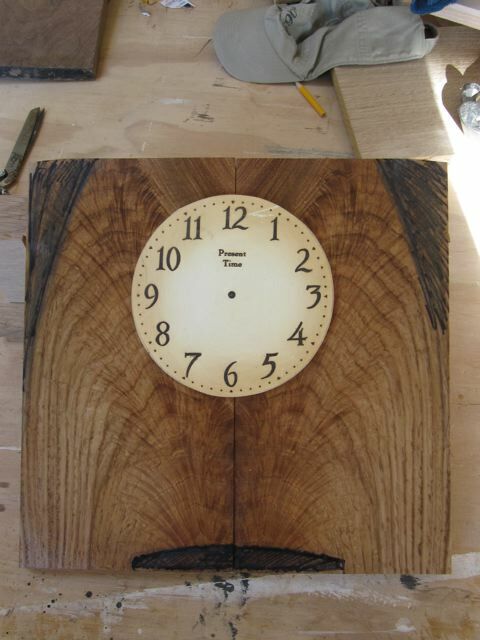 My favorite part of the entire process is “finding the clocks” in a particular piece of wood – move it around, trim it down and it soon becomes apparent what it is meant to be. Arroyo Tall Arch lurking within. A large scale Buffalo Tall. 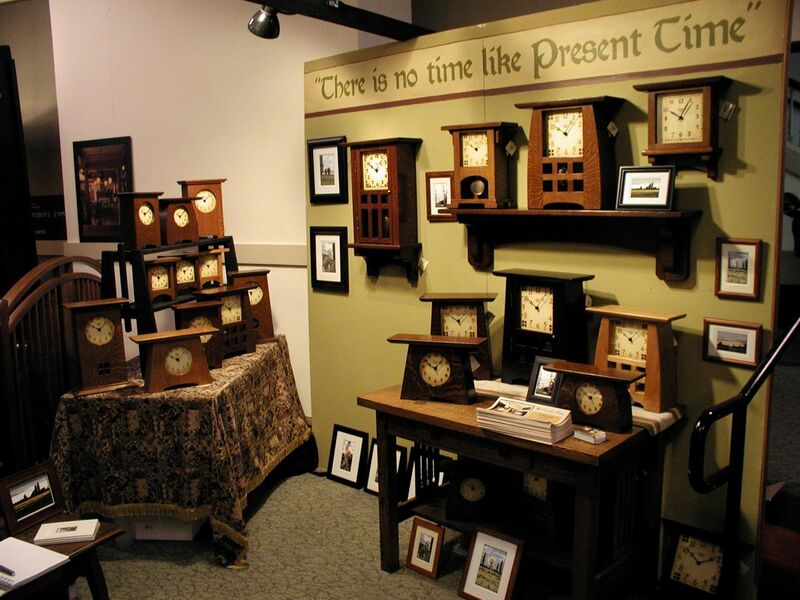 These will be some of the special one of a kind clocks I will have ready in time for the show. If you are in the Seattle or Pasadena / Los Angeles area please come by so we can meet! This entry was posted on Monday, July 12th, 2010 at 2:56 am	and is filed under Uncategorized. You can follow any responses to this entry through the RSS 2.0 feed. You can leave a response, or trackback from your own site.